Students visit the dedicated Student Zone for additional deals. A Big Thank You to all our customers whom left us excellent feedback through the Groupon Partner Survey resulting in Pamper Me being Bristol’s Top Groupon Merchant in Bristol for 2013! We are thrilled that you took the time to report back on the positive engagement you received from us and the excellent quality of service! Having to compete with restaurants, leisure venues and of course other Beauty Salons we were delighted to have come out on top & won the award and appreciate the time all our Groupon Voucher Users spent in completing their surveys – without any prompts or request from us! Congratulations from us to Wookey Hole Caves & Cadbury hotel for being 2nd and 3rd placed runners up! From Groupon…….Groupon Business Bonanza aims to give our fantastic Groupon merchant partners some worthy recognition, and show exactly why we choose to work with them to bring our customers the very best experiences. The G-Awards are our way of crediting our partners, and showcasing the very best businesses from across the UK. All partners who made the short-list have scored highly in our customer satisfaction feedback surveys. These businesses have all provided extremely high standards of customer service, and we are very proud to include them as amongst our top partners of 2013. The winners will each receive an award to recognise the fact they have scored highest for their city, and the runners-up will be immortalised into Groupon’s Hall of Fame as the best business partners of 2013! 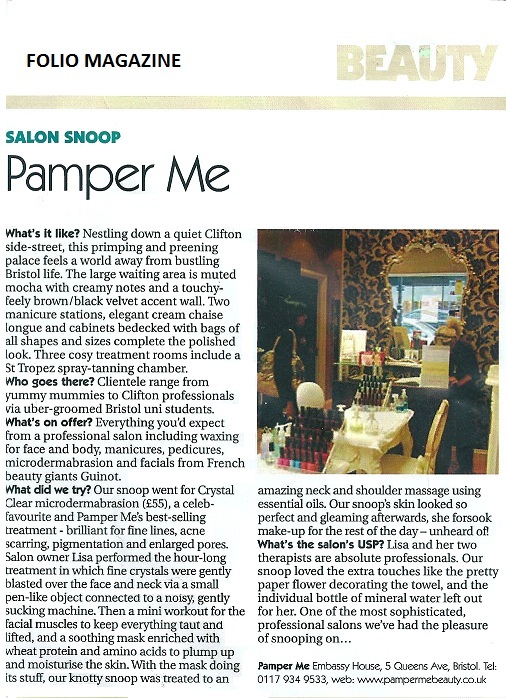 Thumps up from Bristol Magazine’s Smantha Ewart who reviews our Shellac Nail Treatments!